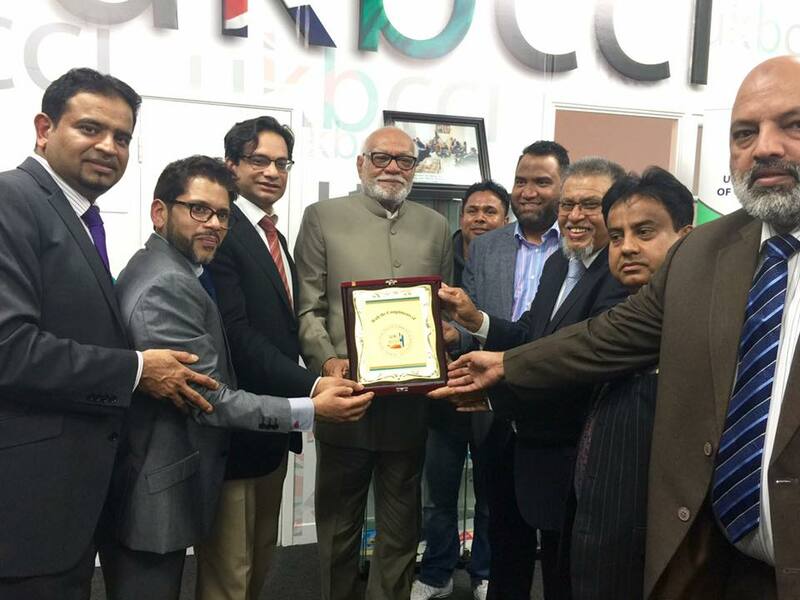 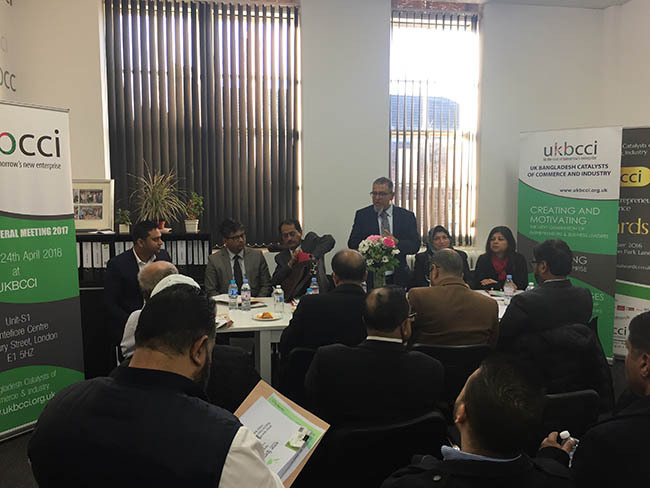 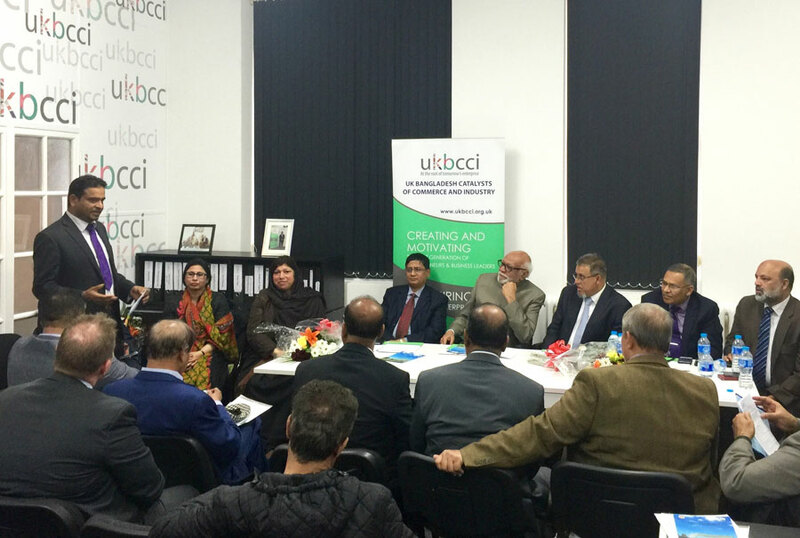 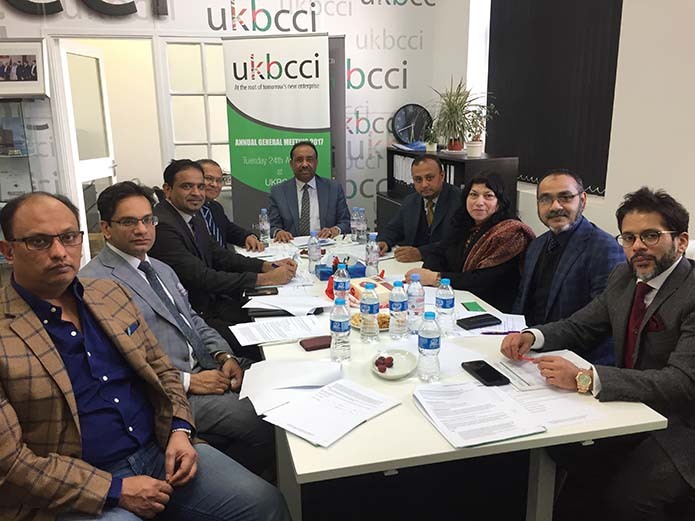 With a delegation headed by Bangladesh’s Honourable Land Minister Shamsur Rahman Sherif, the UKBBCI hosted a meeting with the Bangladesh Economic Zone Authority (BEZA), at the UKBCCI offices, in Hanbury Street, in June. 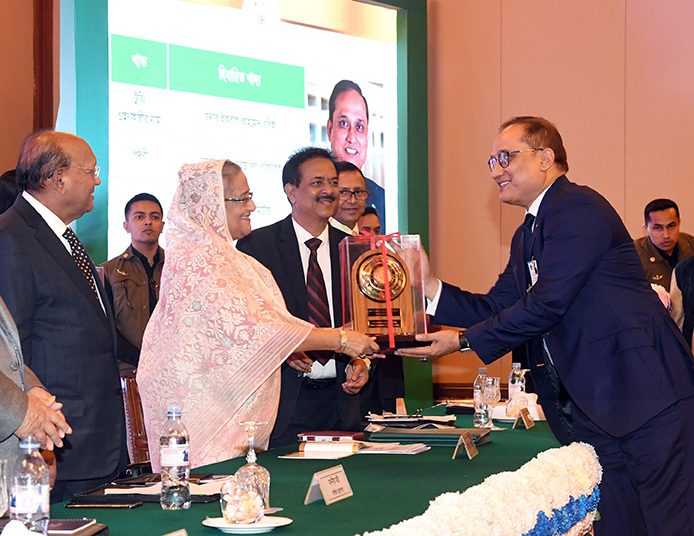 BEZA announced that it’s seeking to establish about 100 “economic zones” in Bangladesh to promote exports and to meet the demand for local manufacturing products. 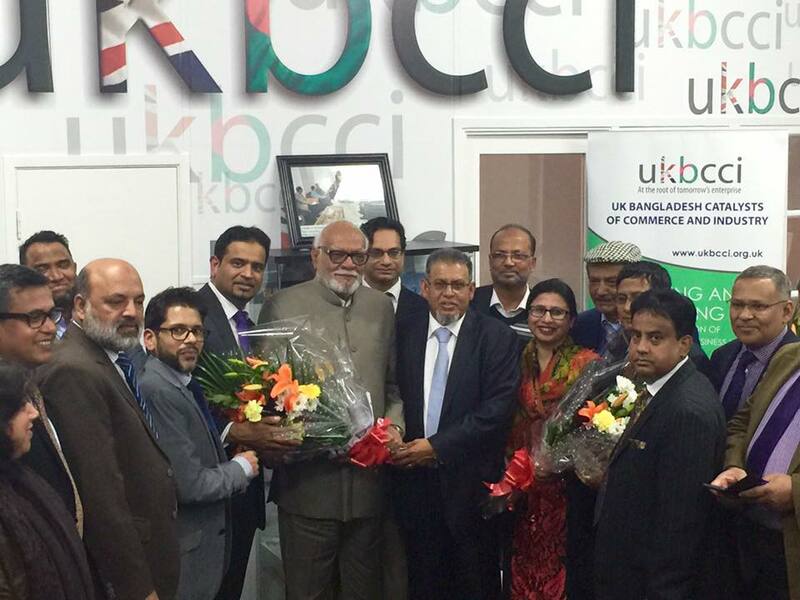 This will be done it is hoped by BEZA setting up 100 economic zones in Bangladesh. 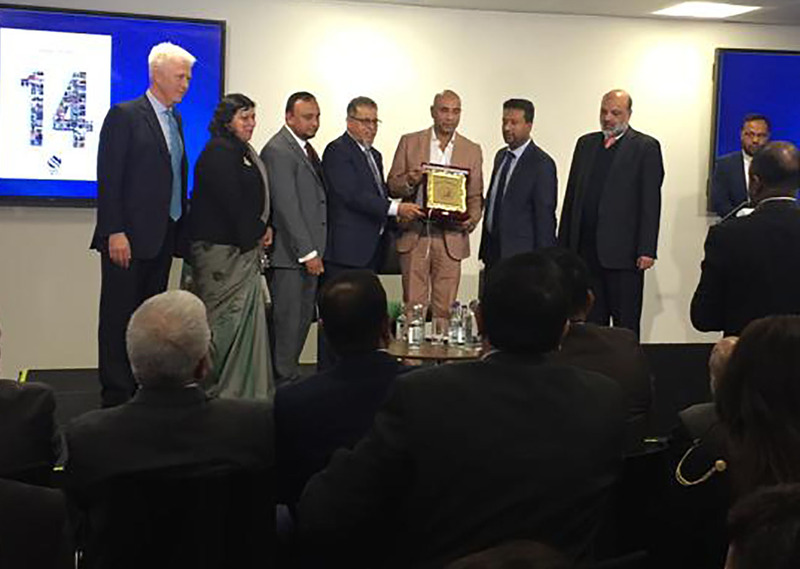 The Land Minister stated that there had never been a better time in Bangladesh for investment and the conditions and benefits being offered by the government – plus the fact that there is no tax levied on investors who invest within the economic zone. 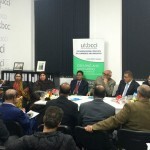 Introduced and chaired by Jamal Uddin Mokoddus, London Regional President of UKBCCI, the meeting was attended by community leaders, commercial councillors from the Bangladesh High Commission, an assortment of media, as well as UKBCCI members and directors of the UKBCCI including Nazmul Islam Nuru, Rohema Miah, Oli Khan, Dr Moula Miah, Jamal Khalique, Harun Miah and Barrister Anawar Babul Miah.